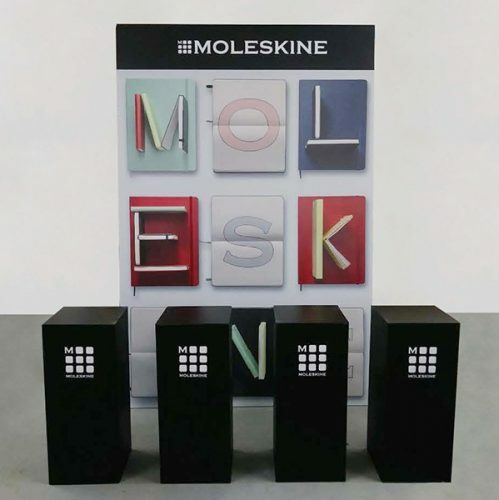 Whether you are launching a new product or need a seasonal display, Tri-plexDesign’s creative think tank will deliver an eye-catching and distinctive display with high-impact visual appeal to showcase your brand, generate consumer interest and increase product recognition. This shelf display was designed for shopper impulse purchase and short run production economy. 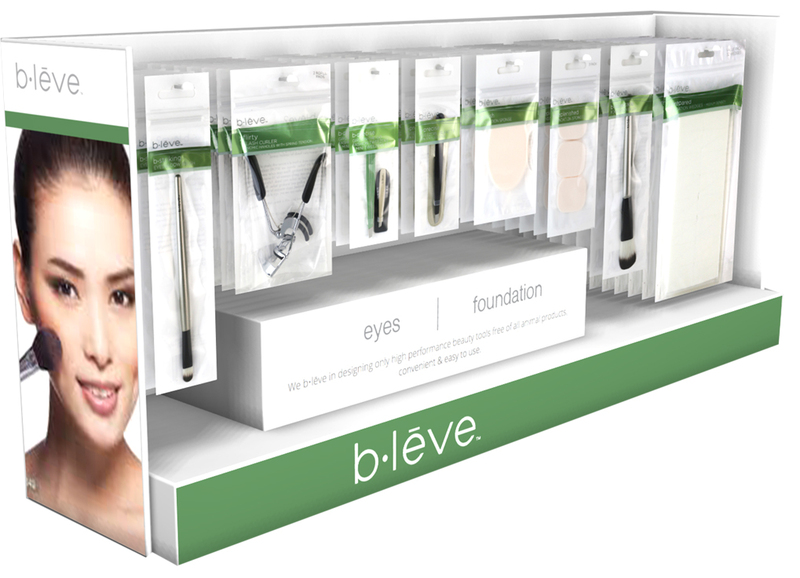 Located on the top shelf of the end cap, graphics and messaging surround the peg hooked beauty accessories. The U shaped header design glorifies the top shelf section and both the graphic block and base platform provide communication. Our extensive digital print and cutting workflow delivered this strong imagery with substantial economy for short run quantities. Window displays drive store traffic and their appeal should stretch the imagination of the passerby to what waits inside the store. They are typically custom installations for a particular window and store location. Budgets are tight and the executions call for a high degree of ingenuity in the use and selection of materials. This modular, space-saving, durable and updatable signage system offers easily changeable signage and product display versatility. 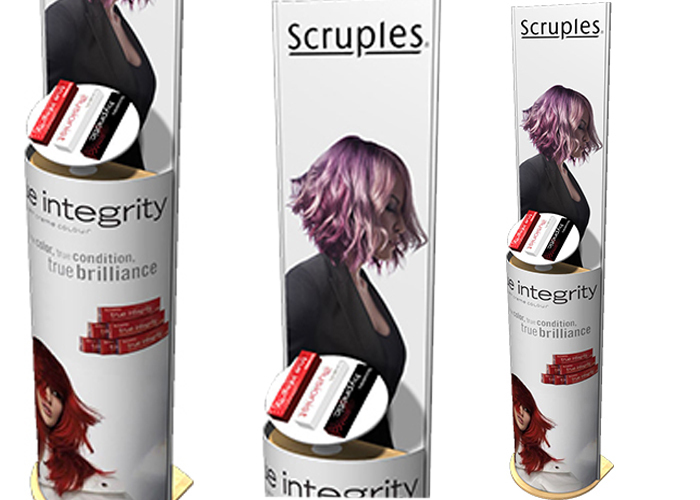 Developed as a semi-permanent and premium way to consistently engage shoppers with fresh graphic communication and product promotion, it’s aluminum frame, solid base and display shelf options are interchangeable allowing a variety of graphics panel and display configurations to be made.